British and Irish bed sizes are usually measured in Imperial units (feet and inches). 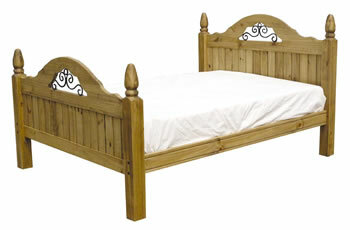 The names King and Super King are used for the largest bed sizes rather than Queen and King. Single beds are generally slightly narrower in the UK and Ireland than in the US. UK double beds also come in extra long 6'6" (1.98m) length. The British and Irish King size bed is the same as the Queen size from North America, Australia and New Zealand. UK & Ireland Super King size beds are about the same size as the Australian King size and a little smaller than North American King size.